Create a sales process with the required stages and name it RB Robotics Sales Process. Create a record type named RB Robotics Process RT. Add a field to the opportunity page layout as described in the business requirements and create the appropriate validation rule for high-value opportunities. Hey, nice work on the setup records! Now let’s talk about our sales process. 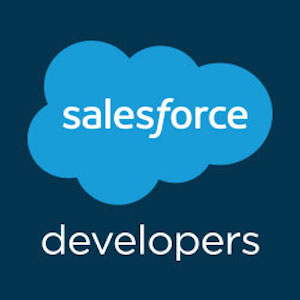 Most of the stages we use are already in Salesforce, but one of the stages we track doesn’t come standard so it would be great if you’d add it. These are the stages we use:  Prospecting, Qualification, Proposal/Price Quote, Negotiation/Review, Awaiting Approval, Closed Won, and Closed Lost. We want all our reps to follow the same process, so everyone should see those stages for every opportunity. This is the only record type and assigned to all profiles. Also using the Opportunity Layout. Im not sure what I am missing. Can anyone assist? @Stevie, Remove the "ISCHANGED( IsClosed )" form your Validation Rule, I checked the Debug logs and looks like they are inserting a Opportunity with amout as "20000". and this validation rule is not passing in this case. everything else looks perfectly fine for your case. @Apoorv That worked!! Thank you so much, I couldn't figure that out for the life of me! I started in the object manager under the Opportunity object in order to include the new "Awaiting Approval" stage. I deactivated all unneeded stages then crafted the Sales Process, incorporating the opportunity stages then record type. It may not be necessary, but I made sure to apply the each record type to the correct layout that corresponds with each profile. You know that you can get your custom template from specialists for these operation. A specialist can provide you a custom template for such operation. You must learn how automating operations will save you time and money (https://www.techprevue.com/automating-operations-save-time-money/" target="_blank). It will be really helpful. Nice solution for Process Automation Specialist Superbadge error.